At CBC . . . I am the chaplain at CBC, responsible for sacramental ministry. I teach religion, help with campus ministry, and assist with technology. 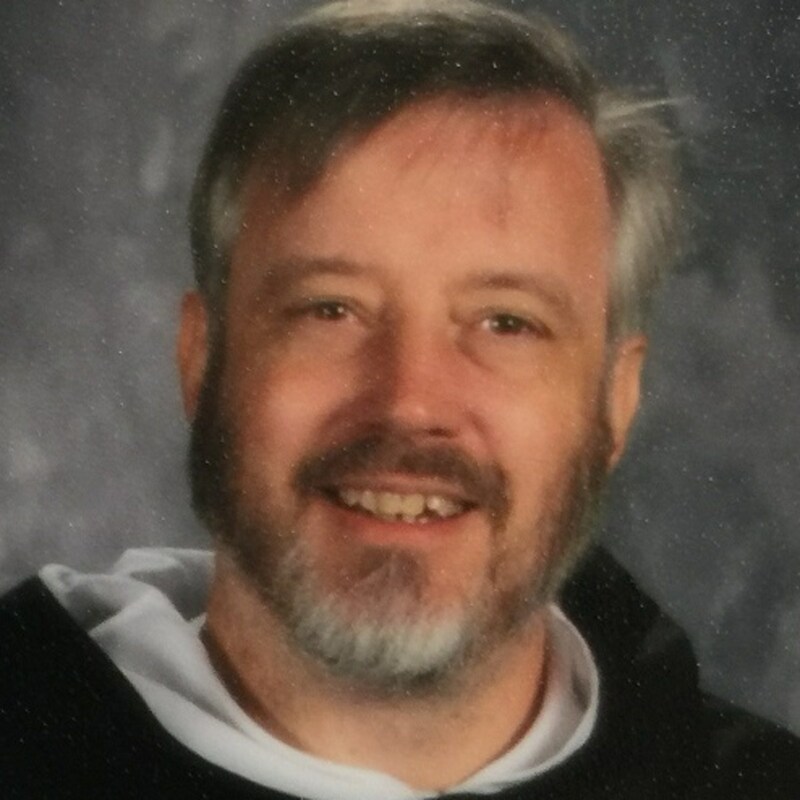 I am a Dominican Friar (Order of Preachers) and have been a priest for 25 years. I have been a high school teacher, website designer, French teacher, a member of an elementary school leadership team and a high school president. In addition I have been a pastor, college campus minister and adult lay formation teacher. Born and raised in Vermont, I am a diehard New England sports fan (Red Sox, Patriots, Bruins, Celtics), which I knows endears me to St. Louis. I went to a public high school in Vermont. I have one younger brother. I have published a website for over ten years, www.thefriar.org, featuring my homilies and other commentary.